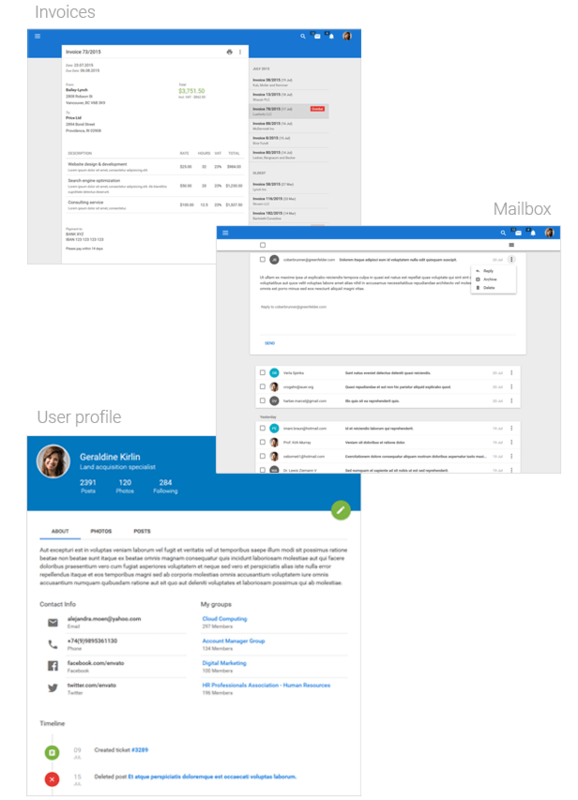 Altair Admin Material Design Premium Template can be easily customized. 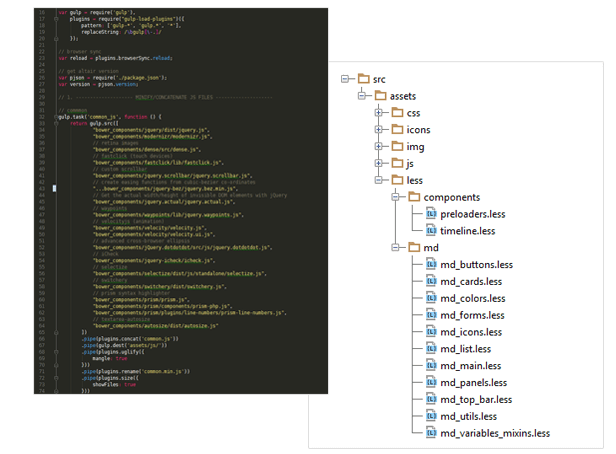 You can use LESS files and gulp tasks to comile LESS to CSS. 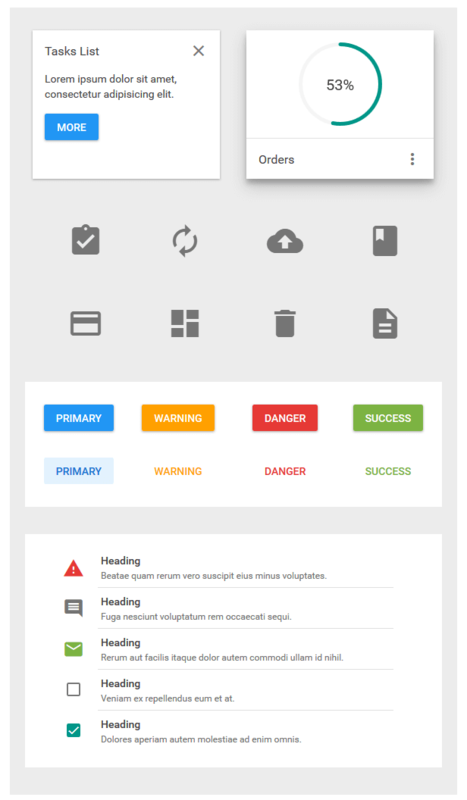 This template is build with the Google Material Design principles on mind. You can use many elements like: cards, FAB buttons, lists, icons in your application.